We'd be lying if we told you that we fully expected to be hanging out with 50 Cent when we traveled around the world to Berlin, but earlier today we grabbed a moment with the Queens-based emcee to discuss his venture into the world of high-end headphones. In particular, we wanted to ask how his products, including the new Street On-Ears and Street DJ Pros, stack against some better known rapper-endorsed audio technology -- namely Dr. Dre's gimmicky Beats and his tie-in with HTC. For starters, 50 was keen to stress that this is no plain endorsement: Studio Master Sound (SMS) Audio is his company and he's invested in it. Regarding the products themselves, he reassured us that they have nothing in common with the Beats / HTC marketing about bringing hardware and software together to create some kind of eardrum wizardry. Instead, he just wants to bring together all-round qualities like durability, comfort, and "professionally tuned" 40mm drivers, alongside fresher styling than you'd get from companies like Bose or Sennheiser. The booth at IFA was too hectic for us to give the new 'phones a fair run-through, and in fact 50 Cent didn't have a great deal to say about them at this point either. As you'll see in the video after the break, he preferred to hold up his slightly older flagship wireless set, called SYNC, as evidence that SMS Audio has audiophile credentials to justify its high price points. Speaking of which, we're not sure how much the latest models will cost or when they'll become available, but for guidance the SYNC headphones cost $400 while regular Street wired headphones will set you back around $250. 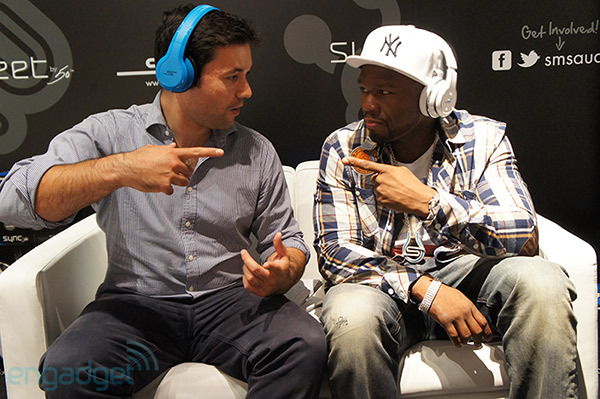 50 Cent talks up two new headphones in his SMS Audio line (video) originally appeared on Engadget on Fri, 31 Aug 2012 19:57:00 EDT. Please see our terms for use of feeds. 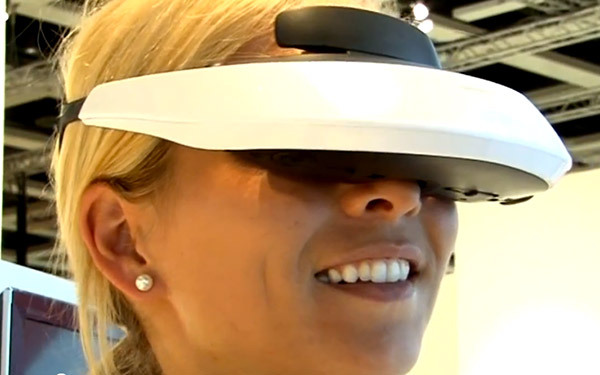 I was a pretty big fan of Sony’s HMZ-T1 3D head-mounted display when it first came out a couple of years ago. With its HD OLED screens, it created an insanely immersive personal viewing experience. However, it had a few major shortcomings, and Sony hopes to rectify those with the newly revealed HMZ-T2 model. Like the original HMZ-T1, the T2 has a pair of high-contrast 1280×720 OLED screens for displaying discrete content to each eyeball. This produces a crosstalk-free 3D image, and a simulated screen that’s like sitting in a small movie theater. The biggest problems with the original model were that it was very uncomfortable for even relatively short periods of time, and that it also required that you used the mediocre, built-in earbuds. With the HMZ-T2, Sony has improved on both of these issues, plus added a few other tweaks. The updated HMZ-T2 personal viewer lets you remove its earbuds, letting you listen to movies with headphones of your choice, or a surround sound system if your interpretation of “personal viewing” includes waking the neighbors. It’s also got something called a “harmonics equalizer” which is said to improve sound quality no matter what device you listen with. In addition, the T2 claims to improve upon the biggest problem with the original – it’s weight and discomfort. The T1 weighed quite a bit and put significant pressure on the forehead and bridge of the nose. The new version has a larger forehead pad, weighs a little less (330g vs. 500g), and comes with more adjustments for its headstrap, so hopefully you’ll be able to wear it for longer viewing sessions. They also added a technology which gradually adjusts color temperature as your content plays, easing eye strain. That idea sounds a little odd to me, but perhaps it’ll work. Hopefully, you can disable that if it causes issues with image fidelity. Sony also added a 24p “true cinema” mode for 24 frame-per-second cinematic playback. Sony hasn’t announced a release date for the HMZ-T2 yet, nor a price, but I’m guessing it’ll be out in time for the holidays, and will list for the same $799(USD) that the original did. Hopefully, Sony can ramp up production better this time, as the original model was frequently sold out and being sold for ridiculous prices on eBay. So you just bought a Nokia Lumia 900 and are wondering how on Earth you'll get all your old phone's data over to that new Windows Phone. 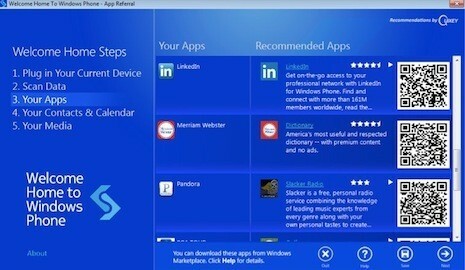 Nokia and Mark/Space have you covered with a new, Lumia-tuned Welcome Home to Windows Phone app. The Mac- and Windows-based utility goes beyond just shuffling calendars, contacts and media; if you're jumping ship from Android, a BlackBerry or an iPhone, it will scan apps linked to the outgoing hardware and offer QR codes to download either direct or close-enough equivalents for the Windows Phone world. Fresh Lumia owners might appreciate the price more than anything -- unlike the Android porting tool, the Lumia version is a free treat just for joining the Nokia flock. It's available today, but we have a feeling that most of the demand will come after September 5th. Mark/Space Welcome Home eases us into new Nokia Lumias, lifts the burden of app hunting originally appeared on Engadget on Fri, 31 Aug 2012 19:13:00 EDT. Please see our terms for use of feeds. If only Nintendo would actually make stuff like this, my life would be complete. I mean, just look at how amazing this NES toaster looks. 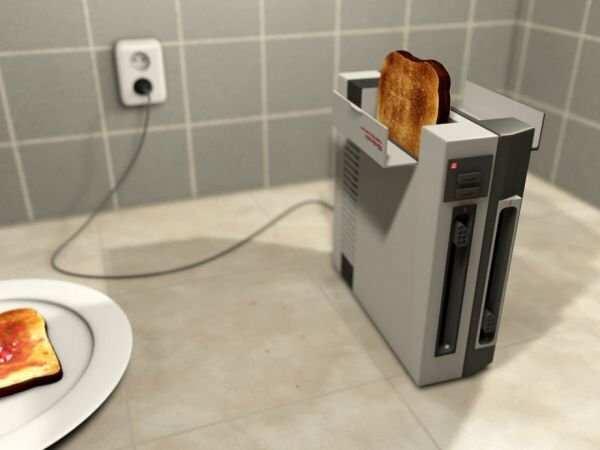 It’s an Nintendo Entertainment System that makes you breakfast. Best toaster ever. It’s an awesome accessory that is perfect for every geek kitchen. And no, you don’t really have to blow on the toast a few times before getting it to work. Although I wouldn’t mind one bit. It just adds authenticity. It was made by my burning eyes on Deviantart, who obviously knows something about design. I love the sliders in front to control how dark you want your toast. It’s also the exact opposite of the Nintoaster. It's been a year since the legendary guitar amp and speaker makers at Marshall Amplification made a splash in consumer audio with its Marshall Headphones spin-off (Zound / Urbanears). In commemorence of the amplification division's 50th aniversary, both have announced the Hanwell: Marshall's first speaker rig that's made for a counter-top instead of a festival stage. Combo guitar amp / speaker meets HiFi speaker. Most anyone who plays guitar, or has seen the likes of Slash and Nigel Tufnel shredding it up, will immediately recognize the iconic Marshall design ethic down to its iconic plastic nameplate on the front grill and gold accents. There's no major tech at play inside of the system, but with looks this cool it's not like it matters -- hopefully, the sound quality will match. Up top there's a familiar panel housing a 3.5mm input, power toggle and knobs for bass, treble and volume, while internally you'll find a duo of long-throw woofers and tweeters. The cab itself is made from wood and wrapped in black vinyl tolex like its bigger JCM siblings -- heck, it even comes with a coiled audio cable. There's no specific information beyond all of that such as pricing and availability -- especially whether "these go to 11" -- but you'll find a press release and close-up shots after the break. 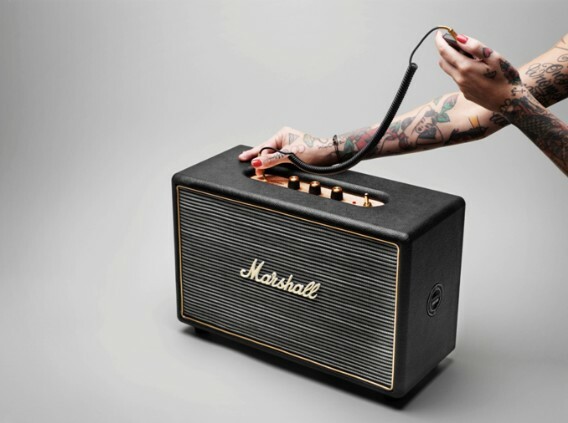 Marshall's Hanwell HiFi speaker is bred from guitar amps, at-home with your PMP originally appeared on Engadget on Fri, 31 Aug 2012 18:39:00 EDT. Please see our terms for use of feeds. 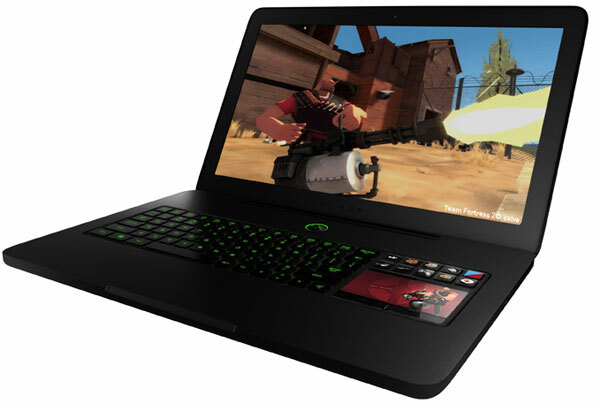 The 17-inch behemoths that call themselves gaming notebooks are traditionally quite large, trading extreme performance for substantial bulk. These machines routinely flirt with double digit weigh-ins, and flaunt meaty 1.5-plus inch bezels. They represent a unwieldy reality in portable power that most gamers have learned to expect. Not Razer CEO Min-Liang Tan, however -- he's still chasing the dream: thin, powerful and sleek. Tan caught up with us this week to brief us on the next generation Razer Blade, a rig that still boldly claims to be the "world's first true gaming laptop." Razer's first laptop hit shelves earlier this year, packing a 2.8GHz Core i7-2650M CPU and a GeForce GT 555M GPU into a svelte 0.8-inch aluminum shell. Tan explained that the rig's attractive hull hadn't changed much, but its internals sure have. "The Blade was our first laptop, and we've taken feedback really seriously since then," the CEO told us. "We've been listing to gamers and made a chart of all the pros to keep, and all the cons to address. Every single one of them." That chart eventually mapped out the refreshed rig's internals, which include an unannounced Core i7 processor, NVIDIA GeForce GTX 660M graphics, 8GB of 1600MHz DDR3 RAM, a 500GB 7200RPM hard drive and 64GB of fast-booting solid state storage. All this comes in the same aluminum shell as the first Blade, of course, sporting a 17.3-inch high definition display and the firm's exclusive multitouch LCD Switchblade interface. Tan says the new build addresses some of our own complaints too, noting that the sticky hinge that plagued our review unit has been tweaked to bend to a lighter touch. The machine's internal speakers have been upgraded as well, and are said to be 250% louder with no distortion. The new Blade's sharpened specs will come with a price cut, ringing in at a penny under $2,500 -- and gamers who picked up its predecessor (which will be getting its own price cut, to $2,299), we were told, can snag one for $500 less. Pre-orders are slated to start on September 2nd, and should ship within 30 days. The new laptop is being unveiled for the first time at PAX Prime this weekend. Not in Seattle for Labor Day? Check out the official press release after the break. Second generation Razer Blade laptop sharpens its edge with GTX 660M, unannounced Core i7 CPU originally appeared on Engadget on Fri, 31 Aug 2012 18:15:00 EDT. Please see our terms for use of feeds. 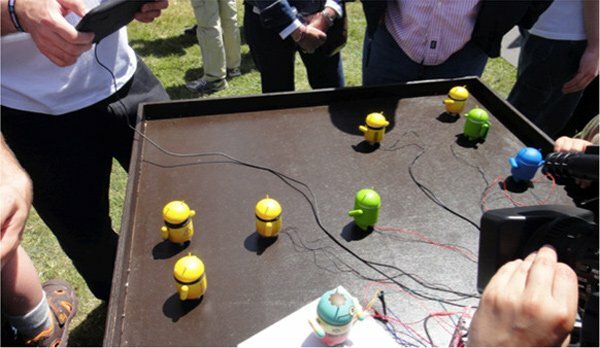 Hackable toys are nothing new, but there’s something appealing about pulling a ‘bot out of your pocket and remote-controlling it from your smartphone. I’m sure that some of the flying mini drones would also fit the bill, but the BERO (Be The Robot) looks pretty cool too. 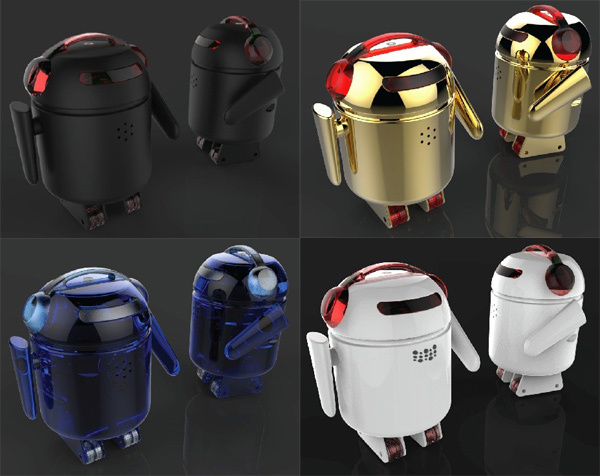 The BERO ‘bot is a 4″ tall robot that can be controlled via your smartphone, to which it will pair using Bluetooth. The app that will control the ‘bot will be open-source, so you will probably end up being able to do all sorts of crazy things with your diminutive robot. It comes with a multi-motor, microchip, on-board flash memory, speakers, and an SD card slot. There’s a higher end model that has some pretty flashy designs and will be able to perform more movements, as well as having LED lights that can light up to the beat of music. The BERO ‘bot was launched on Kickstarter, and at the time of writing, it had amassed a total of $18,000 out of a goal of $38,900 with 30 days of funding left. It will almost certainly be made if it stays on its current pace. You’ll have to pledge $79 for the BERO Bluetooth edition, but the more sophisticated versions range from $109 to $189, depending on the design. 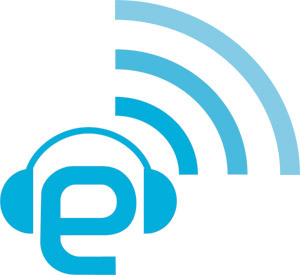 Live from a hotel room deep within the Euro Zone, it's the Engadget Podcast. This week it's all IFA all the time; if you're not quite sure what IFA should mean to you, we'll just put it this way: it's a lot like CES, but with more stollers. ¡Prost! Engadget Podcast 308: IFA Edition - 08.31.2012 originally appeared on Engadget on Fri, 31 Aug 2012 17:48:00 EDT. Please see our terms for use of feeds. 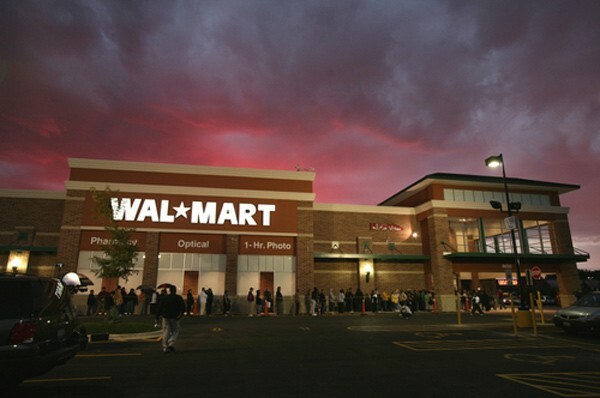 Reuters was tipped off to a survey that reveals Walmart, the world's largest retailer, is testing a new system that would allow customers to scan items with their iPhone then quickly pay at a self-checkout counter. The "Scan & Go" feature won't let you pay with your phone, at least not yet, but rather than scanning each item individually in line, shoppers will be able to quickly transfer their list to the kiosk and pay in one quick step. The hope is that the new system will dramatically speed checkout times and reduce congestion in the stores. The trial is taking place at the supercenter Rogers, AR, where the entire event will be monitored and recorded for research purposes. Participants are being rewarded with $100 and a $25 gift certificate towards their shopping experience. When or if "Scan & Go" will be delivered to John Q. Public remains to be seen. But we're sure fans of rolled back prices are eager to see it go live. Walmart testing 'Scan & Go' iPhone self-checkout app, cashiers becoming endangered species originally appeared on Engadget on Fri, 31 Aug 2012 17:21:00 EDT. Please see our terms for use of feeds.